Its Friday! Which means it’s time once again for a weekly video round-up of my favorite pop culture atrocities, misfires and entertaining trainwrecks. This week’s theme: Summer Blockbusters. It’s that time of year again when Hollywood releases its biggest, most expensive movies in the hopes that they’ll make a bazillion dollars. This formula usually works, even as the budgets of these movies keep escalating. The Dark Knight cost a staggering $150M but, thanks to the fact that it was Heath Ledger‘s final electric performance and that it was actually a good film, it made over $500M domestically. Quality doesn’t always matter, though. Spiderman 3, released in the summer of 2007, is possibly the most expensive movie ever made, with a pre-release cost of $258M. Despite lackluster reviews, it went on to gross $336M. The “make an expensive blockbuster and get a huge return” formula doesn’t always work, however. It can sometimes blow up in the studio’s face, as is the case with the movies selected below. They were too bloated, hammy, badly written, unnecessarily expensive and, well, just plain weird for the public to handle. And, coincidentally, they’re all adaptations (what a surprise!). 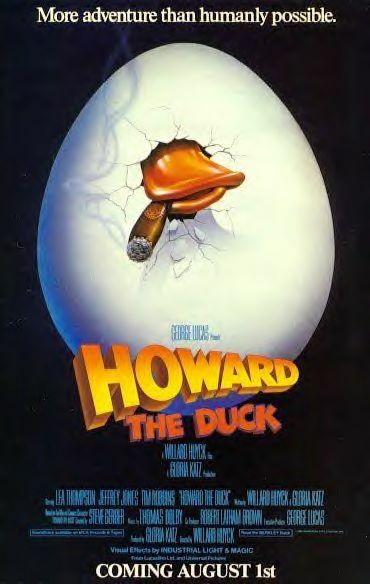 Howard the Duck has gone down in history as one of the most notorious box office flops of the 80s. 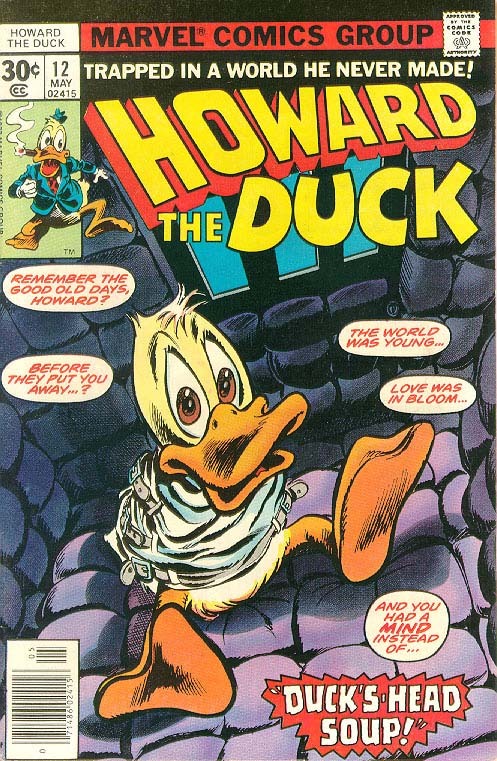 For some reason George Lucas thought that it’d be a good idea to adapt Steve Gerber and Val Mayerik‘s comic book into a feature film; a special effects comedy that would appeal to both adults and kids. According to IMDB, Lucas was deep in debt after spending $50M on his Skywalker Ranch complex. He had hoped that this movie would be a big hit and bring in some serious cash flow. So the Star Wars creator went to work and spent money like mad to ensure that Howard the Duck would live up to his good name. Lucas added all kinds of production set-pieces and he reportedly spent $2M on the duck suit alone. 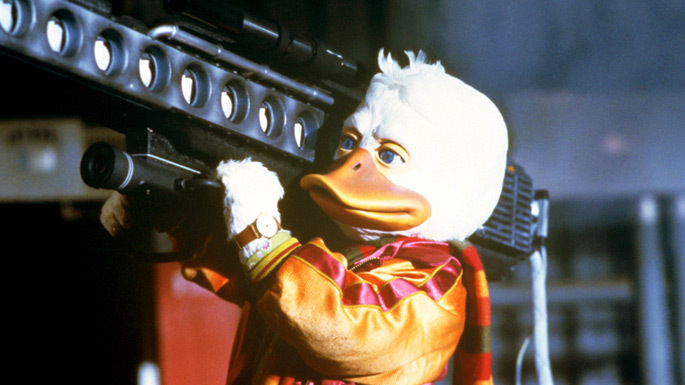 Between advertising and special effects, Howard the Duck ended up costing over $40M. It was released on August 1, 1986 to horrible reviews and went on to gross less than $15M. The consensus was that the duck suit looked cheap, the gags were lame, the music was terrible, it was boring and the special effects were less than spectacular. The only awards it won came from the Razzies. These days, it has some cult followers who appreciate its campiness, but I’m sure Mr. Lucas would prefer that it is erased from his resume. The ending, featuring Lea Thompson singing the movie’s theme song, is posted below along with the official trailer. 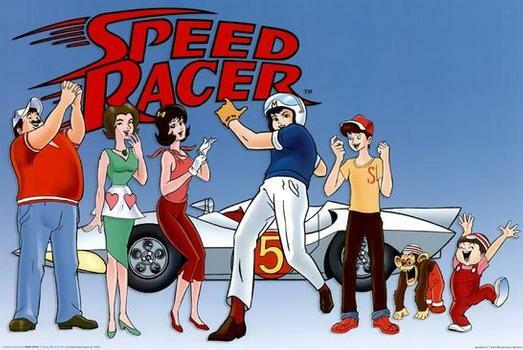 It’s a shame it didn’t catch on with the kids. On second thought, maybe not. 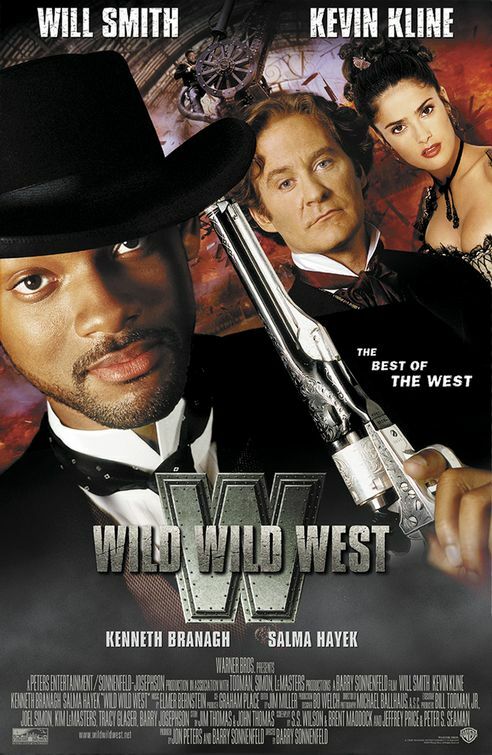 Wild Wild West that re-teamed Will Smith with his Men in Black director Barry Sonnenfeld. The idea must have seemed like money in the bank. Men in Black had been a big hit and it spawned a hit soundtrack. Another collaboration was inevitable. So what did the producers at Warner Bros. come up with for their next project? 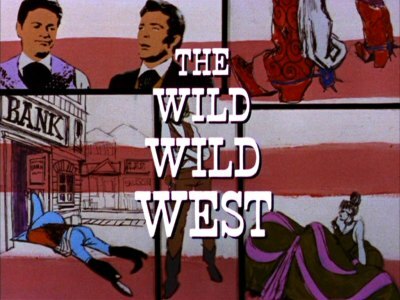 They decided to update the 60s TV series The Wild Wild West. The actual subject matter was besides the point anyways, because what they actually wanted was an unofficial Men in Black sequel. That movie had lots of gadgets and gizmos, so producers made sure that West would have them as well, even if they did seem out of place in a 19th century setting. Then there was the casting. Tommy Lee Jones proved to be likeable alongside Smith in MIB, so producers decided to hire another Academy Award winning white actor (Kevin Kline) in the role of the smarmy sidekick. To top things off, there had to be a catchy theme song. 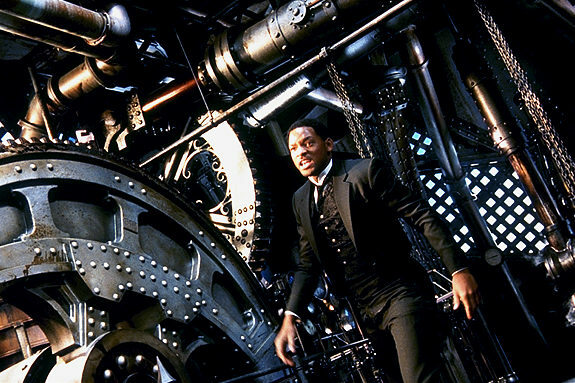 Smith had previously made a hit rap song and video to cross-promote MIB, so he would do the same for this movie. When all was said and done, however, producers forgot to import the one thing that had made MIB so successful: a fresh, original idea. Wild Wild West looks like a typical big budget action movie, but it’s missing a back bone. In its attempt to copy the formula of other hit blockbusters (one liners, explosions, evil villain trying to take over the world, etc. ), it became bloated, nonsensical and bizarre. The plot is impossible to follow and serves as little more than a thin excuse to show off the massive sets and special effects. The actors seem stranded in a movie that has no idea what it’s going for. Kevin Kline takes the grin and bear it approach while Smith seems to be doing his best Will Smith impression. And then there’s Kenneth Branagh. He plays the movie’s antagonist Dr. Loveless. The great Shakespearean actor/director plays the role as one part screaming psychopath and one part mincing queen. Branagh should’ve stuck to Shakespeare. He’s not funny or intimidating. He’s just plain irritating. It’s just another misfire in a screenplay that has too many to count. Incidentally, West was written by four people (SS. Wilson, Brent Maddock, Jeffrey Price and Peter S. Seaman). Every time they try to be witty and cool, they fall flat on their faces. At one point, the Smith character kicks a henchman who has knives for arms off a cliff and to his death. Smith then delivers one of the stupidest cinematic one-liners ever: “No more Mr. knife guy.” That pretty much captures the essence of Wild Wild West. Oh, and if you find men in drag funny just for the sake that they’re in drag, then this is a movie for you. Fortunately, though, the majority of critics and audience members decided that this was not a movie for them. It received horrible reviews and, although it made around $114M at the box office, it was still well below the movie’s $170M price tag. 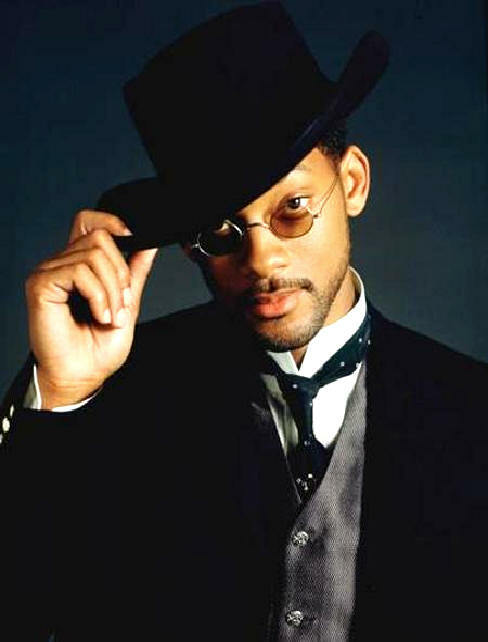 According to reports, Smith had turned down the Keanu Reeves role in The Matrix to play the title character of Jim West. He calls it the biggest mistake of his career. That’s an understatement if I ever heard one. Posted below is the amped-up trailer as well as the official video (a relic now) featuring Sisqo (Remember him? No? Good). The Wachowski Brothers’ directing career started out like gangbusters in 1996 with the release of Bound, an intense indie thriller about lesbian lovers that became a breakout hit that year. It was the calling card that led to their big-budget breakthrough The Matrix, which was such a big hit that Warner Bros. green-lit two sequels before the original had even left theaters. I remember going to see The Matrix Reloaded in a crowded theater in the summer of 2003. The anticipation for the sequel that had built up for four years quickly gave way to boredom and restlessness once the movie actually started. Reloaded is an incomprehensible and sometimes laughable mess. And The Matrix Revolutions was even worse. None of that mattered in the end, however, as they were both gigantic hits regardless of what people actually thought of them. 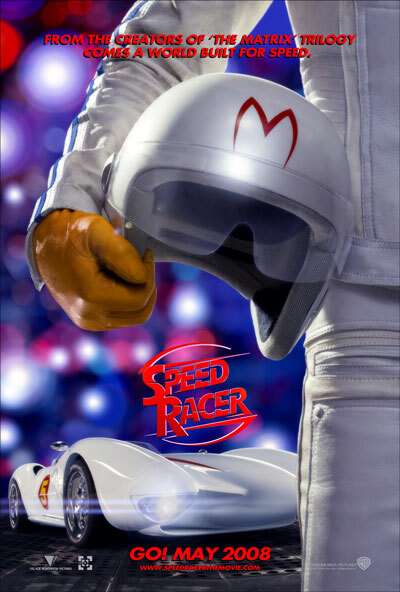 So when they were tapped by Warner Bros. to turn the old cartoon series Speed Racer into a hit live-action summer blockbuster, it must have seemed like a great idea.